A week after Tim Cook and other Apple honchos unveiled Apple’s new line of products, the tech world is still abuzz with many still discussing and trying to make sense out of the iPhone 6s’ and its new features. 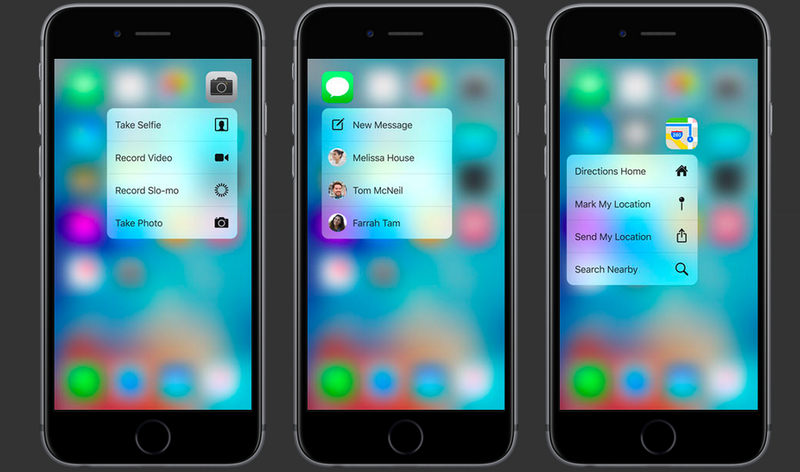 One of the most notable additions is the 3D Touch, a feature which will change how you use your iPhone. We all know that whatever Apple cooks, it’s bound to be revolutionary and awesome. However, there’s a bit of a downside: you will need to learn what it is and how to use it. 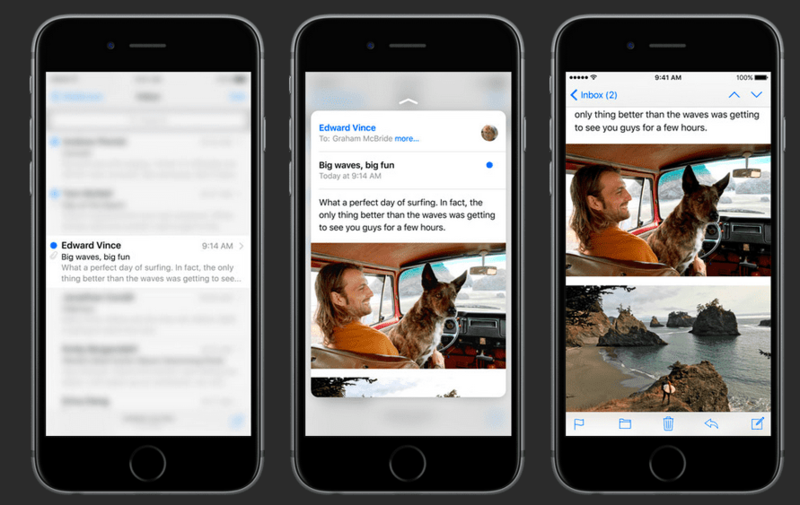 If you’re planning to purchase the new iPhone 6s on the 25th, read on and learn what 3D Touch is all about. In short, 3D Touch is a new way of using the iPhone – it senses pressure exerted by your fingertips into the screen and allows you to perform multiple gestures. Currently, we have tap, pinch, and swipe. With it and on the iPhone 6s, we will have several additional ones, including Peek and Pop. Just to be clear – this is a different ballgame from the Force Touch on the latest MacBook and on the Apple Watch. What can these gestures do? iPhone 6s displaying the Peek and Pop feature. First off, let’s learn what “Peek” and “Pop” are. There’s a new e-mail message on your inbox. You don’t want to open it just yet, so you lightly press the screen and use the Peek feature. Shortly, the screen will then show a preview of the message. You’re browsing Google’s SERPs on Safari. Instead of individually checking what each website contains, you can simply use Peek to preview the content. Someone sends you a location. Regardless if it’s an e-mail or a text message, you can use Peek to preview the said location on the Maps app. Press a little harder and your phone will use Pop, which opens the corresponding app, e-mail, or link. These new gestures can take a while to learn and master, but you will definitely love using it. Peeks & Pops are cool, but what are Quick Actions? The main goal of Quick Actions is to cut down the number of taps required to access an action inside an app, and it enables you to do so straight from the home screen. For example, pressing an icon in the home screen will present you with several in-app actions, and you will only have to swipe up or down to pick them. Let’s say you’re sending a text message to one of your contacts. By using the Quick Actions feature, you can choose who to send messages to on the home screen, allowing you to directly write. What are some other 3D Touch features? Trackpad, multi-tasking, and pressure-sensitive touch controls displayed. You’ll now have the ability to turn your keyboard into a trackpad. Within apps that require you to type such as Messages and Notes, you can use this to have better control in selecting and manipulating text. Multitasking view – by pressing the left side of your screen, you can switch into multitasking view which allows you to switch between apps seamlessly. Much like the Apple Pencil and the iPad Pro, you can use the iPhone 6s pressure-sensing capabilities to draw. Simply press harder for thicker lines, while press lightly for finer ones. Will this feature be available on older models? 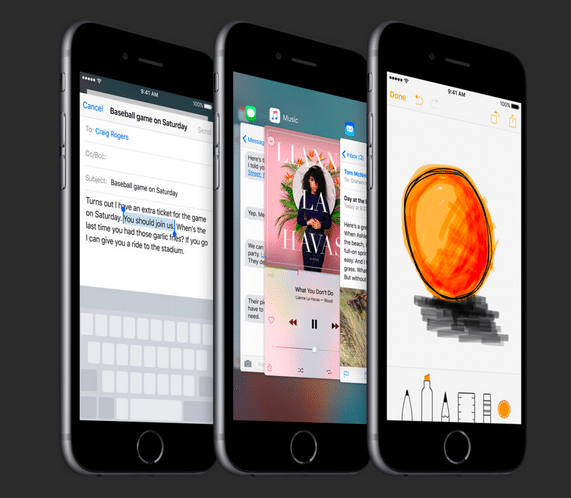 The 3D Touch is only available on the iPhone 6s. Older iPhones, all iPads (even the soon-to-be released iPad Pro) won’t have it. The 3D Touch feature will undoubtedly get some getting used to, but it will definitely reshape how we use our iPhones, and is a testament to Apple’s commitment to making their products as easy to use as possible.